Color, Highlights and Color Correction. These are truly the centerpiece of our salon’s specialties. Our colorists are trained in every aspect of Goldwell Color and you can always be assured that your hair is in good hands. 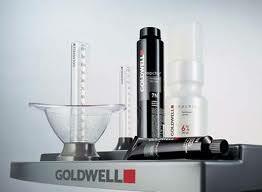 Goldwell continues to be an innovator in the industry and provides strong educational support to our staff. Local Motion has always focused on building a team of stylists that have a deep passion for color and are willing to invest the time and energy to be the very best colorists! Our salon uses only Goldwell Color, which has been voted the world’s #1 hair salon color line by over 75,000 top stylists internationally. We use Goldwell Color because of their commitment to color perfection. Goldwell is a premium color line that leaves hair in beautiful condition, allowing for better color durability and shiny, bouncy hair. Goldwell Color also preserves the integrity of the hair while creating beautiful, natural long lasting color, as well as color consistency. In our commitment to Goldwell, we do not follow trends… we strive to set them! Goldwell is a partner of elite salons throughout the world that share a commitment to creating outstanding hair color for their clients and are dedicated to providing quality service. Local Motion is extremely proud to be a part of that culture! 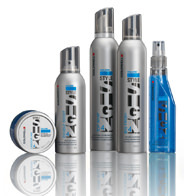 While Goldwell is best known for amazing hair color, Local Motion also offers a wide assortment of premium haircare and styling products to to ensure that our clients maintain ultimate style, condition and color perfection! Ask how our Client Loyalty Program can benefit you!